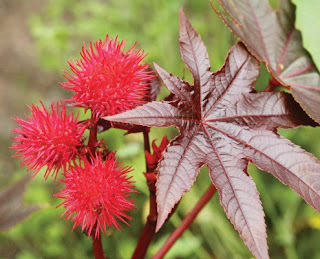 It is obtained from the seeds of a castor oil plant (Ricinus Communis) by removing the outer covering which contains a toxin. In Hindi, it is known as 'Arandi ka tel'. Basically a pale-yellow colored liquid with a discrete odor. Chemically, it is 80-90% composed of ricinoleic acid, apart from this, it mainly contains oleic acid and linoleic acid (Omega-3 fatty acids). Nowadays, Castor Oil has gained wide popularity among masses because of its potential benefits for hair regrowth and reducing the hair fall. Everybody wishes to have long locks of hair, thicker eyebrows, and long lashes. 2. It is easily available in Indian Market. 3. 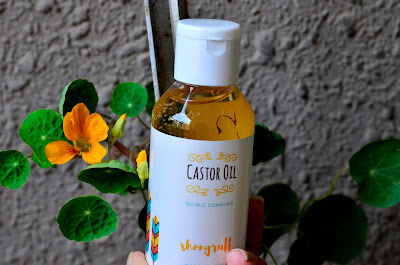 Since it has to be used along with other carrier oil, the bottle does not get over shortly. It has been said that the Egyptians were the first to notice the benefits of this elixir. In India, Gujarat is the largest producer followed by Rajasthan, Andhra Pradesh, and Madhya Pradesh. I, personally, have experienced a huge change in my hair fall and hair quality. I use this only once or twice a week. As both sexes get older, they can experience a greater hair loss and the thinning of hair, which can be reduced by the application of castor oil to the hair. The ricinoleic acid stimulates the blood circulation in the scalp, improving the hair growth. Antioxidants are present in oils which boosts keratin, leading to stronger and lustrous hair. Presence of Omega-9 fatty acid in the form of alpha-linolenic acid that can't be produced in our body that can penetrate into the pores of the skin and the hair follicles. It provides nourishment. 1. You can slightly heat up coconut or olive oil on the stove. 2. Add 7-8 drops of castor oil. 3. You can also add Vit. E capsule in it. Castor oil is not a quick hair fix, due to the time required to naturally grow the hair. It can take time for your hair follicles to improve and increase hair growth. Most people grow a quarter to a half inch length of hair each month. There are no shortcuts! 1. Cleanse and then steam your face for the pores to get open. 2. Apply to scars once or twice a day. DRY/COMBO SKIN- 2 drops of CO & 3 drops of olive oil. NORMAL SKIN- 1 drop of CO & 3 drops of virgin coconut oil. OILY SKIN- 1 drop of CO & 2 drops of jojoba oil. Our skin has a pH value of 4-6.5 ( which is slightly acidic in nature). This environment helps skin cells grow and function better. If it somehow turns alkaline, bacteria go rampant and causes pimples and acne. ACNE PRONE SKIN- 1 Drop of CO, 1 drop of virgin coconut oil & 1 drop of frankincense oil. Use a mildly hot spoon on the applied area for the oil to get absorbed. 2. Apply it to the area thrice a day. It acts as a 'Humectant' which promotes the retention of moisture. It works as a magnet for water molecules from the environment. It creates its own humidity around like aloe vera, glycerin and honey does. IT HYDRATES! 1. Take an earbud, dip it in the bottle. 2. Apply to the lashes and eyebrows. If you are pregnant, consult your doctor before taking castor oil in any form because it is known to induce labor. Also, Take a patch test on your arm before starting using it. Always look for Pure, Cold-pressed & Hexane-free oil. 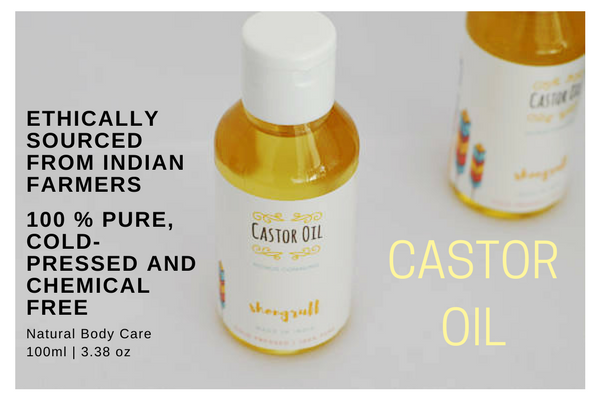 To BUY 'Kesar' infused Castor Oil, CLICK HERE !! Hope this article helps you! If you have any skin or hair related query, submit your comments below.